Home renovations and remodeling while very popular can be very expensive. With the real estate market still struggling to make ends meet, people are just not investing in making their homes more attractive, not even to themselves. But if you look around your house right now, are you getting the feeling like it’s time for a change? Have you rocked the sterile, monochromatic mod look for a while now? While that whole stainless steel, black silver and white look may have been great to usher in the ’00s, it is not working now, and let’s be honest; it lacks the essential element of what we’ve come to rely on from our homes – warmth! Coming into the thousands meant for a lot of people that we would be shirking things that were rustic and embracing technology and streamlined inspired ways of modeling our homes and setting up our décor. The truth is the rest of the world felt that way too. You see it in the malls and shopping centers, even in bookstores and let’s not even talk about our offices. Everything is sterile and sharp, with colors that are not necessarily muted, but don’t necessarily invoke a sense of welcoming. Since we as humans can often be band-wagonists, we’re left with homes that now too closely resemble our offices and shopping centers and for people who need to recoup, regroup and unwind at home, this monochromatic décor has proven very difficult to adjust to! This is where Cabin Fever comes in. traditionally a term used to describe a feeling of inescapable boredom and mandatory confinement, Cabin Fever in this regard is more of a welcoming or embracing of the styles that cabins have to offer. The warmth, the homeliness, the softness, the comfort. The cabin-centric interior design style is being sought after like nobody’s business right now because it is such a stark contrast to what we’ve come to accept and have in our home – cold, steely, sterile, dull. This site is a celebration of everything cabin related and cabin-centric as far as interior design and decoration. From bed linens to even campy and fun antler themed home accessories, you can peruse for inspiration or for items that you can incorporate into your home for immediate effect. Trying to remodel your home given the current state of our nation’s economy just is not the most brilliant of ideas but it doesn’t mean that you can’t take stock of what you’d like to change and find more affordable alternatives. Even if you can’t change the tone of your entire home, why not just work on your bedroom or the room in the house that’s your favorite or in which you spend the most time. Taking the rooms bit by bit may be the most affordable way to tackle the overhaul, but it is more than worth it. 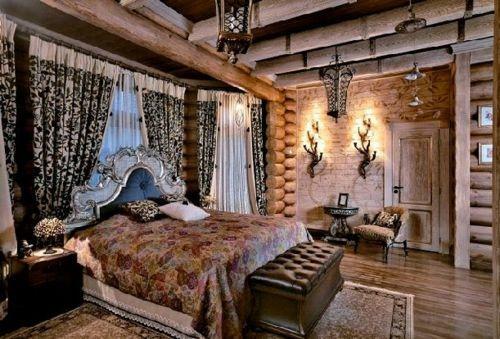 One of the greatest selling points of the cabin inspired theme is that it is so flexible. You can add to it or subtract form it depending on the season. It doesn’t only have to equate a sense of warmth and the cabin motif can be embraced as cool and airy too. For the summer months, go with brighter colors in the same vein of design to give your rooms and your home a cool vacation at the lake feel. Is it time to redecorate that boring bedroom? It seems like everyone I know is doing some kind home re-decorating. Thanks to sites like pinterest there is some great ideas to help you get started and inspired. I recently found a company called The Garden Gates that has some great home accents and décor. They carry anything you need to create the perfect home makeover not only in the inside of your home but the outside as well. You will also find the perfect garden fountains, and garden accessories to help you transform your back yard this summer. If you are currently in the process of bedroom make overs like I am, make sure to check out the Bella Notte Linens & Bedding line. Bella Notte Linens & Bedding products range from quality homespun, quilted, crocheted and even laced sheets to fabrics ranging from silk to linen. Even the manufacturing of these products have been under close watch, the dyes used are Eco-friendly and the quality is top notch-providing overall grandeur within any customer’s reach. These linens and bedding even come in their own special set and theme with their own special names like ‘Elegant Coverlet’ or ‘Classic Layering’ attached to them. 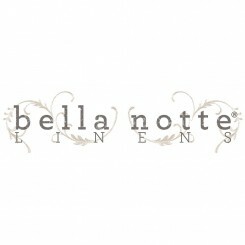 That’s not all Garden Gates provides, for those who purchase Bella Notte Linens & bedding products, you get free shipping! Let’s face it I love any company offering FREE SHIPPING! I was amazed with how many quality items they carry. I can’t believe I haven’t heard about them sooner. They even sale woman clothing and Holiday décor! Today marks the official first day of summer! Now is the perfect time to make sure your deck is in healthy shape for those summer cookouts and family gatherings outside. I am planning on putting this on my weekend plans. Our deck is in real need of some TLC! I found this Deck Safety Infographic very interesting and thought that I would share! I am almost done with most of my spring break projects. However, I am leaving the biggest project for last! I am redoing my laundry room! I want something fun and bright! Plus I need to do something with all that wall space! I will never understand why the builder never hung cabinets or shelves in there 3 years ago! I always thought that was standard. I am learning know it’s really not that uncommon! So, I will be doing that myself. Thanks to pinterest once again I have found many tips and ideas! I admit I am addicted! That site is AMAZING! My husband thinks I’m nuts! I am always working and changing things around in the house now! Plus, my house has never been this clean or ORGANIZED! I really want to build my own cabinets and shelves! These ladies make it seem so simple! However, I will be the first to admit I don’t think I am ready for that yet! 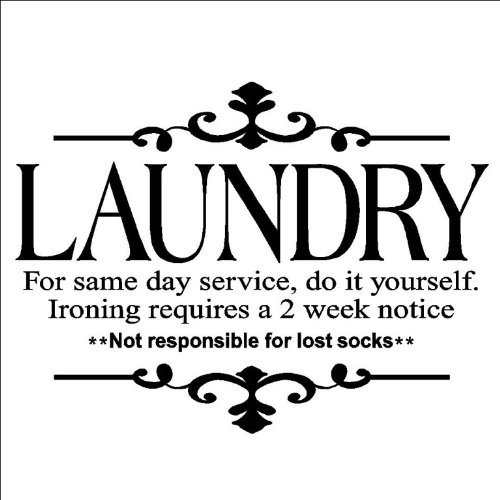 Plus I need my Laundry room done like NOW! When looking for ready assembled cabinets I found Kitchen Cabinet Depot. I really like the cabinets that I saw. I was trying to find something that matches my custom cabinets that we had done for our kitchen and bathrooms. However, I think I am going to spice things up with color! I am looking for 2 wall cabinets then I am going to add just a regular shelf and closet rack. I noticed that Kitchen Cabinet Depot will even hand stain or paint my order any a bunch of color options! I now need to decide what color I am going to do my laundry room so it will match! So my question is…Have you tried your luck at building your own cabinets or if you’re like me where have you gotten yours? Plus I want to know all about your spring projects so leave them in the comment area! Better yet link me to your pinterest haha!